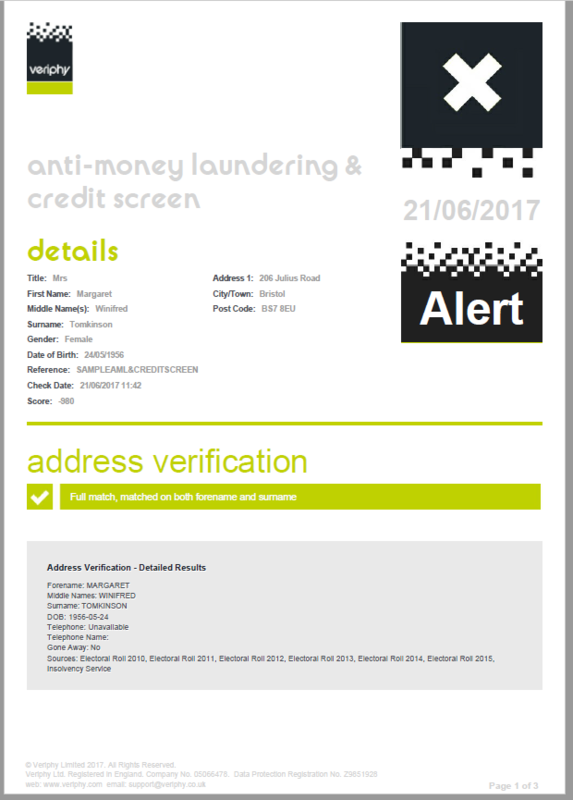 On 26 June 2017, the Anti Money Laundering (AML) Regulations 2017 came into force. The Regulations implemented replace the Money Laundering Regulations of 2007. 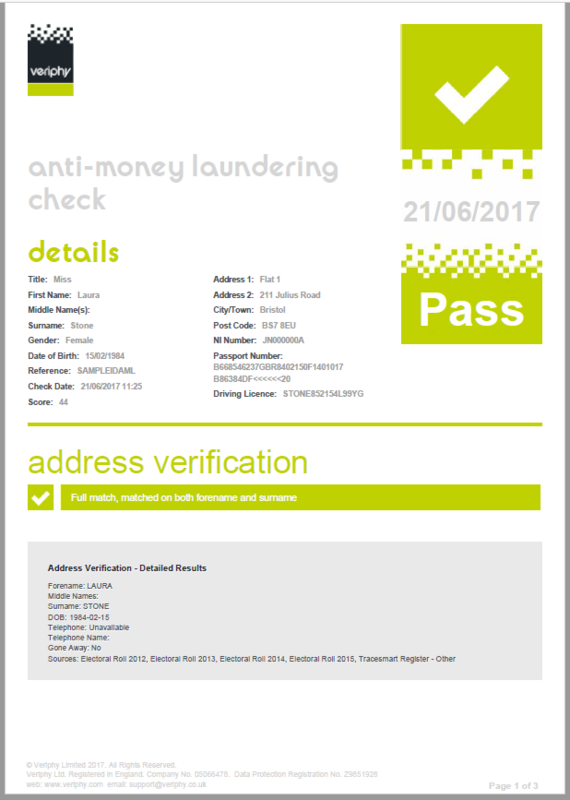 As agents you now have the obligation of completing AML checks on landlords, vendors and purchasers. Also prior to this, the Right to Rent Immigration rules from 1 February 2016 required Agents in England to perform proof of ID checks for Tenants. We constantly develop Acquaint to reduce admin and make it as much a ‘one stop’ business solution for you as possible, to this end we are pleased to announce we have completed an integration with Veriphy. Acquaint integrates with Veriphy for Quick, AML, People and Company Checks. Veriphy can help make your business process compliant, more efficient and reduce your risk. From Award Winning online Anti Money Laundering (AML) checks to DBS, company checks and a whole lot more, all provided by a friendly and down to earth team! <?xml:namespace prefix="o" />When using Veriphy there is no subscription, no minimum use and no support charges. All prices are per check/item - find out more here. From your Acquaint Contact records, you simply click the Veriphy button for an instant check. The resultant report is shown on screen, and automatically stored for a full audit trail. Once they have authorised your account add your Veriphy User Name and Password credentials in File -> Configuration -> Site Branch -> Bespoke/3rd Party Links. The Veriphy button should then appear against your Contacts. Refer to our help for further information. Contact Veriphy on 0845 094 8931 to find out more about their services.